"Every day Maine Public connects the people of Maine and our region to each other and to the world through the open exchange of information, ideas, and cultural content." At a time of significant challenge for media in this country, Maine Public is resolute in our commitment to deliver independent, trusted journalism and quality programming. We have steadily grown our audience over the past few years to the largest in our history. We also have had strong financial support from our growing membership, also the highest in our history. We look forward to the next five years with confidence. But we recognize that we must continue to find ways to strengthen and improve. Our top priority is to deliver news and other content that people can trust. With NPR, PBS, and other partners we will continue to be the standard bearer for high-integrity journalism and programming. To reflect the changes in the way our audience accesses news and information, we will strive to broaden and deliver our programming across Maine with fewer barriers and via multiple platforms. To be available and relevant to Maine people of all ages and cultures, we will increasingly engage our audiences via face to face events and interactive programming. To continue to grow our membership and our base of strong financial support, we will employ best practices from across public media, we will build our “Maine” brand, and we will strengthen our organizational culture through investments in our people, improved communications, and greater transparency in decision making. Given the pace of technological innovation and the changes in the media industry, our production and office facilities have become outdated and inefficient. We plan to modernize and align our facilities so that Maine Public will be able to achieve our strategic goals. Become more relevant to an increasingly diverse audience with an emphasis on future listeners and viewers. Improve organizational sustainability through continued momentum in revenue generation, targeted strategic growth, and strengthening the organizational culture. Address and resolve the need for our production and office facilities to be updated, modernized and aligned with our strategic direction so that we are well-positioned to maximize public service and audience impact for many years to come. As we take Maine Public to the next level of connecting the people of Maine and our region to each other and to the world, we are particularly attentive to how all aspects of our work are aligned towards our mission and four strategic priorities. While we have organized all elements into four strategic priorities — to be straightforward and easily accountable — we recognize that this oversimplifies our work. No priority, goal, or objective can be successful in isolation. All the elements described in this plan depend on each other to achieve our mission. Maine Public President & CEO Mark Vogelzang talks about the strategic plan. Click on the link to download a portable version of the Strategic Plan. As we look back over the past five years, we take pride in the progress we have made. We’ve completed a successful comprehensive fundraising campaign, launched a new radio network, rebranded our name and look, added content choice on television and radio, strengthened our digital offerings, and grown the largest audiences we’ve witnessed in our history - all pointing to an abundance of large and small victories that our supporters and staff have made possible. This progress is crucial to sustain, as cultural and political divisions in America today have fostered a growing distrust of media. Given this context, we must continue to be an independent, trustworthy source of news and information. We must invest in quality content, align our organization and facilities for the work ahead, and focus on continuing to build our audience. 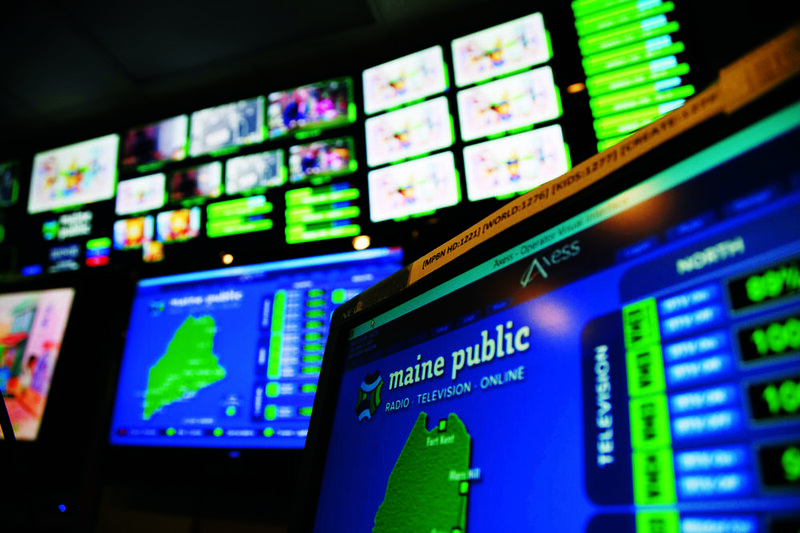 Looking ahead, Maine Public will build on our core strength as the exclusive place where Mainers connect with the very best of public media. Our anchor programs such as Nova, Masterpiece, Morning Edition, as well as global programming through the BBC, will continue the tradition of trusted journalism and quality cultural content that has been the hallmark of our national partners PBS and NPR. We will strengthen a ‘culture of journalism’ inside Maine Public with broader state and regional coverage, more weekend reporting, alignment of visual content with news, and with a goal of a more timely, 24/7 digital presence. We will expand the base of independent contributors in filing news reports, digital essays, storytelling, photos, and video pieces. We will continue to grow and serve online, mobile, and younger audiences with expanded digital and social media offerings and expanded live events. Our goal is to broaden the reach of Maine Public with approaches that reflect all aspects of the ways listeners and viewers access our content. At the core is our mission to connect people through open exchange of information, ideas, and cultural content, and we intend to manifest this mission in many different ways. Our classical music network will have more local hosting and expanded programming. We will partner more fully with our region’s premier musical organizations. We will embrace the joy of live performance with our supporters and neighbors. And with our digital offerings, we’ll reach new audiences via cultural content such as music-related podcasts, videos of exclusive station studio performances, and social media conversations that our hosts and musicians curate together. We will also embark on a search for improved facilities for our staff and public. Those facilities will likely be focused in two primary locations, one north and one south. These new facilities will be purpose-built centers of excellence where stories are developed and shared, new technologies are displayed and examined, and where we host live events to engage and enrich our communities.